The No 710 Action Committee is calling for everyone to attend the Metro Board of Directors meeting on Thursday, April 28th at 9 a.m.
We will be there to continue our presence and our message that the tunnel should be withdrawn from consideration prior to November or we will actively campaign against Measure R2.. Come and speak for one minute or support those that will speak. We will all meet outside the Metro Board Room before 9am on the 3rd floor. At that time we will let you know which Agenda item number to make a comment on. Please wear a red shirt if you have one. Please let me know if you are coming. For the past 7 months, the same 6 – 12 members of the No 710 Action Committee have attended each monthly Board meeting to re-iterate our message. We cite facts and figures from the DEIR/EIR comment letters submitted by independent reviewers such as the EPA, South Coast Air Quality Management District, Natural Resources Defense Council, and the USC Keck School of Medicine (These are posted online at www.beyondthe710.org). We understand that we are having an impact, making the Board nervous about the passage of R2. Recently, pro-tunnel advocates, led by Alhambra’s Mayor, Barbara Messina, have begun attending the Board Meetings as well. This small contingent consists of City Council members from a couple of cities and some labor representatives --- NO REGULAR CITIZENS HAVE APPEARED. They deliver scripted messages that congratulate the Board for conducting an “open and transparent” process, continue to tell the Board that the tunnel must be built because it was included in Measure R in 2008, that “those people” (us) continue to spread misinformation and lies about the tunnel, that we represent a vocal minority and that the majority want the tunnel to be built. They never discuss facts from the DEIR/EIS. Please make the effort to attend. We need fresh faces and voices to participate. You will be given one minute to speak. Fill out a speaker card in the foyer of the Board Room when you arrive. Some of us will be present to assist you in the foyer. Your message can, and should, be simple and direct – we want to support worthwhile projects in Measure R2, but if the SR 710 tunnel alternative is not withdrawn from consideration prior to the election in November, we are willing to sacrifice those projects by working to defeat Measure R2. Thank you, and see you there! 710 Tunnel: "The Dark Backward?" You may have read in Pasadena NOW and in the Star-News this week that Mayor Tornek plans to seek council support and ask Pasadena voters to repeal Measure A, the 2001 initiative requiring the city to "be in favor" of the 710 extension (tunnel). Such repeal would allow leadership in the City of Pasadena a much-needed place at the table in determining acceptable impacts from regional transportation projects through the city. "Absent repeal, the city's hands are chained to the 2001 vote and 710 regional transit interests, even in the face of new facts, technologies and transit innovations." Putting this repeal effort in perspective is the recently released (April 2016) North County Multimodal Integrated Transportation Study (Final Report) proposing a freight transfer facility in Antelope Valley (42.7 million square feet of new facilities on 19,000 acres, p108) for distribution of domestic/international freight from the ports of Long Beach/Los Angeles. Pasadena and other San Gabriel Valley cities will get slammed during this long gestation period. Much has changed since Measure A passed in 2001. Transit projections to 2035 show enormous vehicle and truck growth, much originating at the ports. Should the City of Pasadena be shackled into the future by a 2001 vote influenced by politics of the time, politics now frequently viewed as obsolete, profligate and detrimental to the city's general welfare? Shall an Initiative Ordinance of the City of Pasadena be adopted to declare the policy of the City of Pasadena to be in favor of completing the 710 Freeway extension between the 1-210 and the 1-10 Freeways, and to declare that such policy could not be changed or repealed without a vote of the people? 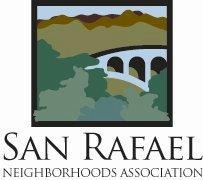 San Rafael Neighborhoods Association is opposed to the tunnel/completion of the 710 and supports 21st century solutions that increase flow of traffic and goods rather than clogging our roads and freeways with more trucks and gridlock. Mod: Quite a glorious train-wreck of controversial issues in this Pasadena Star News story. Metro, which desperately wants a half-a-penny sales tax increase to fund various transportation projects, has gone quiet on the issue of the 710 Tunnel. Most likely because they do not want to upset San Gabriel Valley residents by reminding them that they are the lead agency responsible for this unpopular project. Measure R2 will require a two-thirds majority to pass, and it was the SGV vote that killed the previous version. Of course, the best thing you can do is vote NO in Measure R2 because, and despite all denials, they will spend a big chunk of that money on the 710 Tunnel. A project that would obviously have devastating environmental and economic consequences here. Pasadena Mayor Pursues Repeal of 2001 Measure Supporting 710 Extension (link): Hoping to bolster opposition to the 710 Freeway tunnel project, Mayor Terry Tornek is proposing a November ballot measure that would ask voters to repeal a 2001 vote supporting the completion of the freeway through the city. Although the City Council voted in April 2015 to oppose the 710 Freeway’s completion as a tunnel project, Tornek said during a City Council meeting Monday that Measure A legally prevents the city from fighting the project. The city attorney and outside counsel agreed in legal opinions provided to the city. “The measure that voters approved would not allow the City of Pasadena to take affirmative steps opposing the completion of the 710 extension,” said City Attorney Michele Bagneris. Tornek intends to ask the council to vote on a repeal on June 13. The council needs to finalize the measure’s language before a July deadline to make it on November’s ballot. By repealing the 2001 ordinance, Pasadena can fight against the project without restriction, Tornek said. “As soon as we launch an effort, all it will take is one citizen to sue us and enjoin us from violating the provisions of Measure A, which can only be overturned by a vote of the people,” Tornek said. Tornek said he believes the tunnel project has been purposefully stalled to avoid hurting Measure R2, the county’s proposed $120 billion transit tax on November’s ballot. “Metro and the various transportation authorities are very anxious not to do anything that would rock the boat and jeopardize the adoption of Measure R,” he said. After the vote in November, Tornek expects the tunnel proposal to come out of hibernation. Mod: The plot thickens. To read the rest of this article click here. Calling it the “struggle of the decade” for the city, Pasadena Mayor Terry Tornek re-emphasized his newly stepped-up opposition to the proposed $5 billion, 5-mile 710 Freeway tunnel project which would join the 710 Freeway to the 210 Freeway during the annual meeting of the influential West Pasadena Residents Association meeting Wednesday night. To much applause, Tornek told the group that he placed a request on the June 13 Pasadena City Council agenda to formally consider a November ballot measure that would repeal Measure A, the 2001 measure that officially positioned the City of Pasadena in favor of completing the 710 extension and which he said permanently prevents the city from opposing the tunnel. Local transportation agencies, said Tornek, have decided to “finesse the issue,” until after the November elections, when Measure R2, a new transportation sales, is due to come before the voters. In this article Barbara Messina (Alhambra's City Councilmember), plans to school Pasadena on "...the other side of the issue..." and predicts a landslide in favor of Measure A should it come to a vote. She said she will attend the Pasadena City Council meeting on June 13. So please make plans to attend the Pasadena City Council meeting on Monday, June 13th, at Pasadena City Hall. Tornek said he has already filed the initial paperwork to get the new proposed measure on the November ballot, and asked the members of the WPRA for their assistance in helping to pass the measure. “Without this opposition, this project, which none of believe is even plausible, is going to be approved,” said Tornek. The annual meeting, attended by by close to 200, was held in the student center of Maranatha High School and saw the election of a slate of Association officers, exhibits from a number of local organizations, and presentation by a noted urbanist. Illustrating the Chief’s message, Lieutenant John Mercado told the group that the Pasadena Police recently stopped nine burglaries in progress in one week, all because neighbors had reported suspicious activity. West Pasadena architect Stefanos Polyzoides also delivered a presentation on the “Connecting Pasadena” project, which would develop a a new neighborhood on the location of the “stub” of the 710 Freeway, instead of the 710 Freeway extension. The new development would be primarily residential with a large promenade centerpiece, evoking Boston’s famed Commonwealth Avenue. Polyzoides said the project would take at least ten years to complete. The WPRA also approved the election of a new Board of Directors and officers. Kenyon Harrison was elected president, Sarah Gavit was elected vice-president, Justin Chapman was elected secretary, and Blaine Cavena was elected as treasurer. The new directors are Geoff Baum, Dan Beal, Bill Christian, Avram Gold, Ken Grobecker, Joan Hearst, Chuck Hudson, Audrey O’Kelley, Catherine Stringer, Priscilla Taylor, Bill Urban, John Van De Kamp, Nancy Walker, Gazelle Raye Wichner, Fred Zepeda, and Linda Zinn. COMMENTS ON R2 DRAFT EXPENDITURE PLAN DUE BY FRIDAY MAY 20TH. Keep your letters short – a single page. Letters may be emailed to: theplan@metro.net but add more letter with single subject??? There is also an online form you can use to submit your comments. #1 Transfer 5% from Highways to Local Return for Transit-Bus Rapid Transit and arterial improvements, gap closures, and locally decided transportation improvements, especially for feeder shuttles and their routes. #2 Transfer 3% from Highways to Regional Rail for rights-of-way improvements and 2x-3x track sets for MetroLink and increased Rail Freight in Alameda Corridor Central, East to Colton, North to Palmdale, and NW to Oxnard. #3 Withdraw all Measure R and R-2 funding or support for I-710 South Expansion, SR-710 North Extension, and High Desert Corridor and transfer transfer to Regional Rail and local return. #4 Allocate local return funds based on ratio population (2010 census and CaDOF projection thru 2015) and road miles - more funds for communities with higher populations per road mile to support local transit, active/shuttle transport, and supporting road improvements to help transit. Mayor Tornek Announces Immediate Action Must be Taken to Defend Against 710 Tunnel "Ambush"
Pasadena Mayor Terry Tornek said Monday night that the city must urgently prepare a measure to repeal the 2001 initiative ordinance which promotes completion of the 710 Freeway while simultaneously readying for an “ambush” in November by forces in favor of building the tunnel extension. The new repeal measure requires immediate action, said Mayor Tornek, because it will need to be ready in July to qualify for the November ballot. It would repeal Measure A, the 2001 ordinance that positioned the City as squarely in favor of completing the “missing link” gap in the 710 Freeway connecting its current terminus at Valley Boulevard in Alhambra with the 210 Foothill Freeway in Pasadena. “It’s my conclusion that soon after the November elections the City is going to get ambushed,” said Tornek, “and we will be confronted with a full court press to build that project. And we have got to be prepared to make a concentrated effort to prevent that from happening. Following the meeting, Mayor Tornek seemed eager to discuss his opposition to the 710 Tunnel project. Meanwhile, the battle over closing the gap between Alhambra and Pasadena has been raging for more than 30 years. Along with 21 cities, 13 elected leaders and two school districts are also in favor of the project. 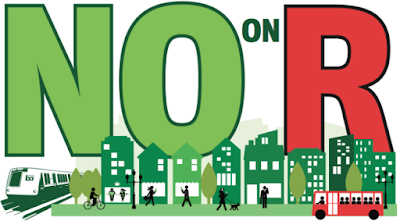 In 2001, the City of Pasadena voted 58.3% to 41.7% to approve Measure A, which made approval of the completion of the 710 Project official city policy. The vote cannot be changed by a ordinance or a vote of the City Council. It must be approved by the residents of the city in an election. Last June, the Los Angeles County Metropolitan Transportation Authority (Metro) issued a report that favored the freeway tunnel plan, which would begin at the existing southern stub of SR 710 in Alhambra, just north of I?10, and connect to the existing northern stub of SR 710, south of the I?210/SR 134 interchange in Pasadena. According to the report, the Freeway Tunnel Alternative would have two design variations—a dual bore tunnel and a single bore tunnel. According to the 2015 report, the dual bore tunnel design variation is approximately 6.3 miles long, with 4.2 miles of bored tunnel, 0.7 miles of cut-and-cover tunnel, and 1.4 miles of at-grade segments. Mayor Tornek will agendize the new 710 discussion when Council returns from its spring recess in June. A long list of transit projects, road improvements and commuting options could be built over the next five decades under a $120-plus billion spending plan Metro released Friday for a potential November sales tax ballot measure. The Metro staff report and attachments are above, including some revisions made since the report’s initial release last Friday. Here’s the link to a PDF of the report and attachments on metro.net. The spending plan would also devote billions of dollars to pedestrian and cycling projects, commuter rail, transit operations and programs to keep the Metro transit system in a state of good repair. The plan, too, would return billions to local cities — money those cities could spend on their own local transportation projects and transit services. The big theme here in one sentence: we’ve come a long way in building a modern transportation system in Los Angeles County but we still have work to do. •Construction of an expansive rail station/transit center where Crenshaw/LAX Line riders will transfer to a people mover (which LAX is planning to build) that will serve LAX terminals. •The Purple Line Extension subway to Westwood (a decade earlier than currently planned). •A potential rail line or bus rapid transit project on Van Nuys Boulevard north of the Orange Line in the San Fernando Valley. •A new ExpressLane and bus service along the 405 spanning the Sepulveda Pass. A second phase of the project would add a potential underground rail line between the Orange Line and Purple Line. A third phase would extend the project from the Purple Line to the LAX area. •Grade separations and improvements for the Orange Line busway in preparation for a mid-century conversion to light rail. •A potential light rail line between Artesia and the Green Line in South Gate. A second phase in the 2030s would extend this new line from the Green Line to Union Station in downtown Los Angeles. •A bus rapid transit project on Vermont Avenue between Hollywood and 120th Street, which includes the stretch of Vermont between the Red/Purple Line and the Expo Line. •An extension of the Gold Line from Azusa to Claremont. •Bus rapid transit between the Orange Line and Red Line in North Hollywood and the Gold Line in Pasadena. •Purchase of right-of-way for the High Desert Corridor, a potential new freeway, energy and high-speed rail corridor between the 14 freeway and State Route 18 in San Bernardino County. •A project on the 710 South between the ports and the 60 freeway to improve congestion, ease truck traffic and improve the movement of freight. It will be built in two phases, with the second phase in the next 15 years of the spending plan. •New lanes for the 71 freeway in Pomona between Interstate 10 and Rio Rancho Road. •ExpressLanes on the 105 freeway between the 405 and 605. •A new carpool lane and truck lane in each direction on the 5 freeway between the 14 freeway and Lake Hughes Road in the Santa Clarita area. •SR 57/SR 60 interchange improvements. An active transportation project in the first 15 years is completing the Los Angeles River bike path between downtown Los Angeles and the western San Fernando Valley. Other projects to be built in the second 15 years of the plan: an extension of the Green Line to Torrance; an extension of the Eastside Gold Line to South El Monte or Whittier (the other branch could be built later as an option to accompany an additional 10 year extension of the tax); direct HOV connectors for the 60/105 and 405/110 interchanges; new auxiliary lanes and ramp improvements on the 405 in the South Bay, and; an extension of the 110 ExpressLanes to the 405. Projects in the final 10 years of the plan: a potential northern extension of the Crenshaw Line to the Purple Line, West Hollywood and Hollywood; bus rapid transit on Lincoln Boulevard, and; an extension of the Green Line to the Norwalk Metrolink Station. The full list of projects can be found in Attachment A of the report posted above. A description of the major projects is in Attachment H.
Please keep in mind these projects are on top of the three under construction (Crenshaw/LAX Line, Purple Line Extension to Wilshire/La Cienega and Regional Connector) and the one that is about to open, the Expo Line to Santa Monica (May 20). The potential ballot measure would ask voters to increase the countywide sales tax by a half-cent for 40 years and to continue an existing half-cent sales tax (Measure R) for 18 years. The staff report will also provide the Board with scenarios for taxes running longer than 40 years. The Metro Board of Directors will decide at their meeting next Thursday whether to formally release the draft plan to the public and begin a public review and input period. If the Board releases the plan, Metro would hold community meetings and Telephone Town Halls across the county this spring. Another point of emphasis: This is a draft plan for public review. It could change. The Metro Board will have the final say on the spending plan and whether to put a ballot measure before county voters. That decision is scheduled to be made at the Board meeting on June 23. Why do I use the word ‘potential’ when discussing some of the above projects? Because Metro still must complete environmental studies for those projects. The spending plan seeks to provide enough funds for more expensive alternatives that were not previously fully funded. The spending plan for the potential ballot measure is based on input from stakeholders across Los Angeles County. Metro staff selected projects to be funded and the order in which they would be built based on wide-ranging criteria. Among them: improving travel times, increasing safety, providing better access to transit for those most dependent on it, reducing greenhouse gases that cause climate change and creating and maintaining local jobs. Something else that is crucially important to understand: having local funds is the key to building anything these days. Local dollars attract state and federal dollars. That’s how things get built in the 21st century. Example: Metro used local funds to help secure nearly $1.9 billion to help build the Regional Connector project and the first segment of the Purple Line Extension. To say the least, this is an ambitious plan. I encourage everyone to read the staff report and attachments. There is a lot here to digest. We’ll try best to answer your questions in the comment sections. And we’ll certainly be posting a lot about many aspects of the plan in the coming weeks. Metro also invites the public to provide input by emailing theplan@metro.net. The home page for the The Plan is here. And here’s the official press release from Metro. You are invited to a Meet and Greet in support of Ara Najarian, candidate for Los Angeles County Supervisor. Representatives from Glendale Unified, Burbank Unified and neighboring school districts recently drafted a joint resolution opposing a potential tunnel extension of the Long Beach (710) Freeway because of the negative impacts they believe it would have on student and employee health. They hoped the message that school leaders from Glendale, Burbank, La Cañada Flintridge, Pasadena and South Pasadena — assembled collectively as the 5-Star Education Coalition — had regional concerns about the pollutant effects of the 4.5-mile underground passage proposed by the Metropolitan Transportation Authority would sound alarm bells to state lawmakers and compel the agency to refine its plans. However, that hope was dashed last week when Pasadena Unified School Board member Larry Torres opted not to support the resolution, blocking the unanimity required for the document to be officially adopted by the coalition. The disagreement marks another chapter in a tale of two perspectives about whether a multibillion-dollar tunnel project would be a boon or a burden to cities along the 710 and Foothill (210) freeways and whether local elected officials should weigh in for or against it, or not at all. La Cañada Unified Governing Board member Ellen Multari, whose district passed its own resolution against a tunnel option in July, believes the adverse impacts the project and its construction would bring to students, school staff and families is unquestionable and merits opposition. "I think this is a bit more of a show of strength among the five of us," she said of the resolution when it was still being drafted, indicating all five member cities seemed interested in going that route. "That's why the 5-Star was created — so we could have power collectively that we don't have individually." But to Torres, the wisdom of educators speaking out against the project wasn't quite so clear. When he took the resolution back to the Pasadena Unified board for input at a March 10 meeting, he confessed he wasn't certain the 710 issue was relevant to educating children. A former teacher in the Los Angeles neighborhood of El Sereno, Torres expressed his belief something needed to be done to address "the exceedingly troubling" problem of street traffic in and around Alhambra and surrounding environs. "I'm of the opinion, probably where most folks are, that something needs to happen," Torres told the board. "I'm not sold that a tunnel is the answer, but I'm also questioning whether or not for me, as a school board member, this is a child-related issue." His fellow Pasadena Unified board members largely agreed. "I am personally opposed to the 710 tunnel, but I kind of agree with Larry," board member Patrick Cahalan said at the meeting. "I don't see this is an area of governance that we should be weighing in on as a school board. I also don't think there's a clear impact here that has to do with education." Glendale school officials were of a different mindset when they unanimously approved their own resolution on March 15 opposing the tunnel in anticipation that the 5-Star Coalition's resolution would follow. "We are a part of the impact, there's no question about it," board member Greg Krikorian said at the March 15 meeting. Two days after the Glendale school board opposed the tunnel, Burbank school board members voted 3-2 in favor of a similar resolution. Burbank school board member Larry Applebaum declined to vote in favor of the resolution. He pointed to Burbank's past and said the development of the Golden State (5) Freeway in the 1950s bisected the community. One of the early rationales in extending the 710 was to mitigate truck traffic that for decades has moved directly through Burbank, he added. "We take 100% of the pollution now. You know what I read here," Applebaum said of the resolution, "'Not in my neighborhood.' And you know what, we've had it in our neighborhood for 50 years...It's hard for me to stand on the playground at Washington Elementary School and look at that freeway and not think about the billions of tons of pollutants that those kids are within a hundred yards of everyday that they're there for their six or seven years. This will happen for the next three or four or five generations because nothing's going to change. All this does is continue to stall [the 710 extension]." Fellow member Steve Ferguson, however, voted in favor of the resolution, saying, "I think it's important to stand with our neighbors on this." Charlene Tabet, board president, and member Armond Aghakhanian also voted in favor of the resolution, while school board member Roberta Reynolds voted against it with Applebaum, but she did not elaborate on her reasoning. Tabet, however, in voting for the resolution opposing the tunnel, said: "My hope is this opens up an opportunity for the powers that be to look past the tunnel and find another solution." Meanwhile, Multari remained firm in her district's conviction that the tunnel could pose a health risk to many schools situated near the 210 Freeway, which would see an increase in truck traffic were the 710 gap filled. "We felt it was a legitimate concern for our districts to address," she said in an email Tuesday.